I was down with the stomach flu yesterday and I could not even think about food. 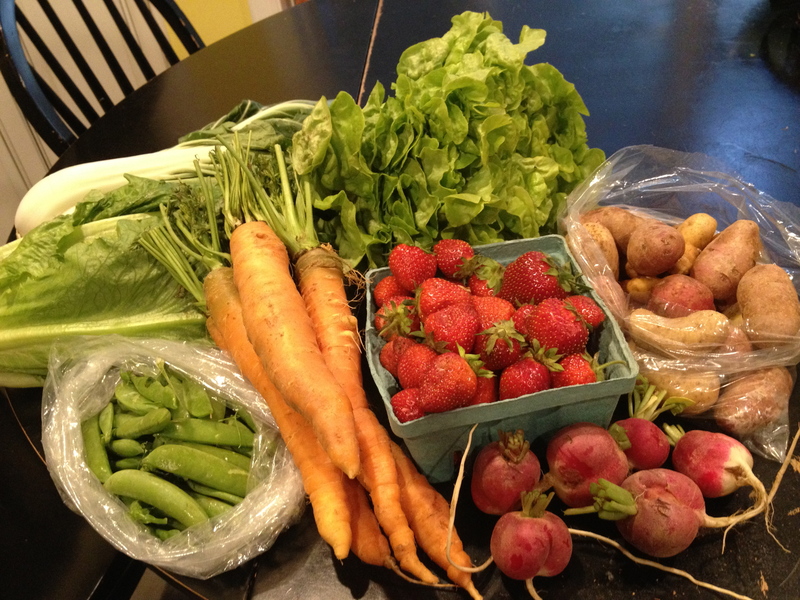 So my friend Cindy picked up the CSA and took this photo to say thanks! She took the snap peas on the boat and is making a salad with the greens and carrots today for Father’s Day. Here are some ideas for the strawberries which can really be made anytime. I am hoping there are strawberries next week, I was planning strawberry ice cream and preserves!